With just a few days left till Santa sets off on his annual journey around the world. Here is the final list check to see who has been naughty, and who has been nice. 1) Canada's Prime Minister Stephen Harper and Environment Minister Peter Kent - the two have been claiming to be unfairly targeted by environmental groups who exaggerate its impacts on nature and people. However their claims are looking a bit shaky since contamination of a major western Canadian river basin from oilsands operations is a "high-profile concern" for downstream communities and wildlife, says a newly-released "secret" presentation prepared last spring by Environment Canada that highlighted numerous warnings about the industry's growing footprint on land, air, water and the climate. 2) Yoshihiko Noda, Japan's Prime Minister - Japan has announced that they will use tax payers funds, originally earmarked to rebuild the country to increase resources of the Japanese whaling fleet heading to the Antarctic with a target of catching 900 Antarctic minke whales and 50 Endangered fin whales under the alleged purpose of conducting "scientific research." 3) Fred Nile, Christian Democrat leader - has expressed his disgust at the Australian Labour Party for changing their policy and now supporting gay marriage. 1) Eugenio Lopez III - Chairman/CEO of ABS-CBN Corporation, Manila - The television network was named by WWF as their media partner of the year for their support since January in promoting local environmental issues. 3) Jim Howe, executive director of the Central and Western Chapter of the Nature Conservancy, Rochester, NY - The Nature Conservancy has secured a $1million grant from North American Wetland Conservation Act through the Great Lakes Restoration Initiative and will buy 500 acres of land known as Shaker Heights which is vital for migratory birds, waterfowl and contains spawning areas for many fish. Santa wants to thank the 80 year old woman who was run over and died while trying to save a duckling on the road in New South Wales, Australia. Her name is yet to be released. 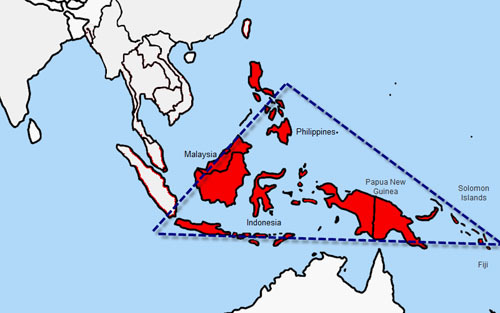 The Coral Triangle is located in waters off the coasts of Indonesia, Malaysia, Papua New Guinea, the Philippines, Solomon Islands and Timor-Leste. 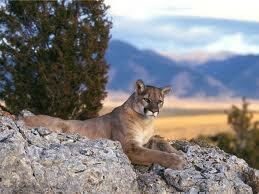 The area spans over 1.6 billion acres which is about half the size of the USA. The area is home to 3,000 fish species including tunas that are common human food sources. The region also contain six of the seven species of sea turtle and nearly 500 reef-building coral species – an amazing 75 percent of all known coral species. This area is important to about 126 million people. It is a source of food for not only the coastal communities but the seafood is sent around the world. In the region around 200 languages are spoken and for many of the communities the ocean has a strong cultural significance. Each year the area also generates about $12 billion in eco-tourism. You can now help the WWF as little as $US5, where you have the opportunity to "purchase" a place within the Coral Triangle. On their site you can scan over the area and choose and exact location, then simply make your donation. One of the world's hottest models at the moment is the androgynous Andre Pedjic. He has appeared on the runway for many high end labels including Jean Paul Gaultier where he modelled a see-through wedding gown in the haute couture bridal show. Now he has appeared for Dutch retail chain HEMA promoting their push-up bras. Speaking to Frockwriter, Pejic’s agent Joseph Tenni said: “It's revolutionary. I've never known a man to do a womens' lingerie campaign before". The Australian raised model continues to push people's perception of gender as when first shown the image people, most think it is a typical image of a beautiful blonde woman. In a world that still hasn't achieved full equality of the sexes, this goes a long way in making people question their perceptions of gender and the differences between the two. If the bra can make him look that good, it must be doing it's job! The big day is getting closer but some people are acting like they don't want any gifts from Santa this year. Santa is disappointed with a few people not wanting to play nice in the sandbox. However thoughtfulness is getting others on the Nice List just in the St Nick of time. 1) Jonathan Pershing, US delegation leader at the Durban Climate Summit - Greenpeace, WWF and Oxfam are all asking the USA to move aside and let the rest of the world move forward if you cannot get with the programme. The USA if fighting for voluntary pledges rather than binding agreements. After eight years of the US denying Climate Change as a issue with President Bush, there were hopes it would be better under Obama. This is yet to seem the case. 2) Matthew Gonshaw - Unfortunately for this poacher Santa doesn't deliver to jails where he will be spending the next six months after being sentenced for snatched hundreds of eggs from the nests of rare birds including ospreys, avocets and golden eagles in the UK. When police raided his London home they found over 700 eggs. This is his forth jail sentence for egg theft. 3) Executive Director, President, and CEO of Paper giant Asia Pulp & Paper (APP)Teguh Ganda Wijaya - promised to move to 100% plantation sourcing of timber for major pulp mills four times several times but has missed their self-imposed deadlines to stop using native forest timber in 2004, 2007 and 2009. Their new dead line is 2015 but Santa is getting impatient considering they are cutting down trees in vital tiger habitat. 1) Nine Greenpeace activists - The Nimble Nine were able to break into a nuclear power plant in risk highlighting the lack of security. This has put the nuclear power debate in France back in the spotlight. This will be a key issue in the next election. 2) Denise and Daniel Villefort - a Malibu couple who have donated $2000 to the reward fund for information leading to the arrest and conviction of the person or persons responsible for the death of a mountain lion in the Santa Monica Mountains. The Malibu City Council had offered $5000. The total is now $18,700 worth of donated funds. The mountain lion in question was a 7-year-old known to the National Park Service researchers as P-15 who had been fitted with a GPS device to research the animal's movements. 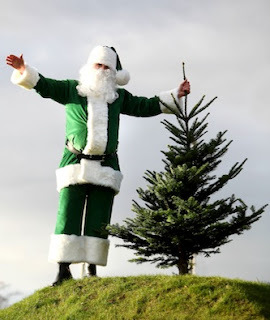 3) Clark Bunting, President of the Discovery Channel - Last week he was on the Naughty List but Santa is overjoyed that Discovery has announced that they will now show the finale of Frozen Planet which deals exclusively with the effects of climate change. Santa lives in the Arctic and is affected by Climate Change too! 4) Datuk Sam Mannan, Sabah Forestry Department Director - the department has recently awarded reforestation contracts to four contractors to restore degraded forest areas in North Ulu Segama, within the Ulu Segama-Malua Forest Reserve in Lahad Datu. This means about 800 hectares of land will be replanted with indigenous tree species and wild fruit trees in the next 12 months to ensure the survival of orang utans. 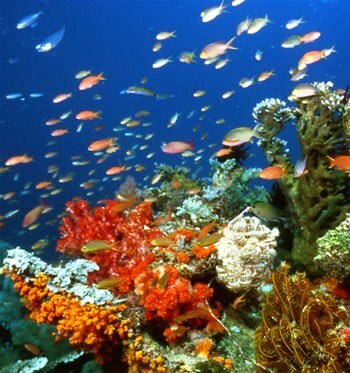 Buy yourself some real estate - You can buy an area of the Coral Triangle for as low as $US5 and help save the area. See http://mycoraltriangle.wwf.or.id/coralweb/about/saving.aspx for all the details. The male lyre bird also possesses an impressive set of tail feathers which it will fan as part of the mating ritual. The tail has sixteen feathers, with the two outermost together forming the shape of a lyre. Next within are two guard plumes and then twelve long, lace-like feathers, known as filamentaries. This tail is fully developed by the age of seven which is generally when they reach sexual maturity. 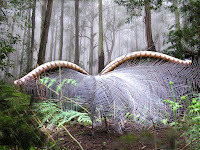 Little is known about the lyrebird's behaviour as they are very shy and difficult to approach. When alerted they tend to freeze, give an alarm call and then hide or flee. 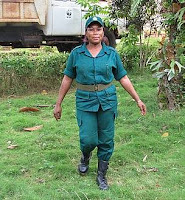 However their diet has been noted as consisting mainly of insects with the occasional from or small reptile. Lyrebirds are ground dwelling birds and thus use their feet to scratch around the forest floor debris. When it comes to bushfires, you'd think that these non-flying birds may be at a disadvantage. However in previous bushfires when firefighters have hid down mine shafts, they have also been accompanied by many lyrebirds. With such intelligence, maybe this is one of the reason's lyrebirds have found themselves on the Australian ten cent coin. The lyrebird is renowned for it's impressive vocal abilities. To be successful in finding a mate, each male lyrebird must be a skilled communicator. 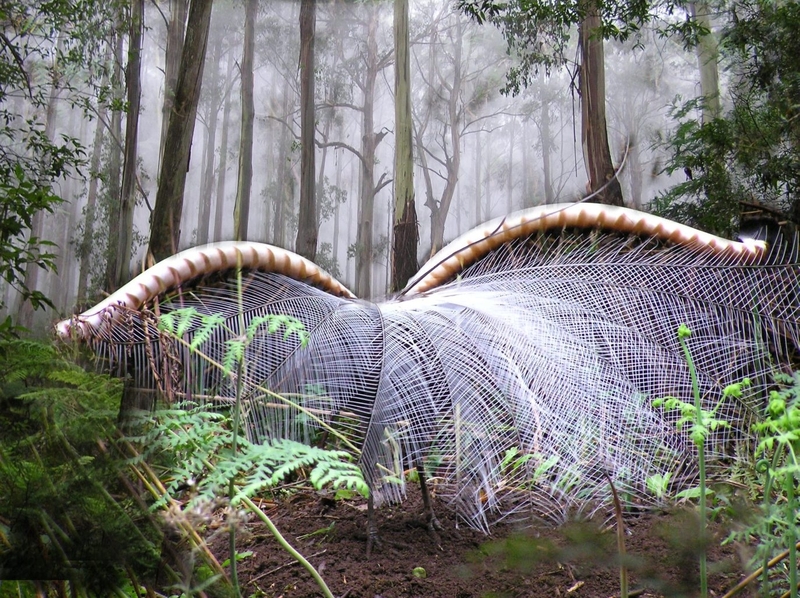 The lyrebird's message is to be articulate and creative in your communications. To be successful with a task, you must utilise your creativity to enthrall and engage others. Charisma and wit will be far more effective than force and argument. 1) Clark Bunting - President of the Discovery Channel - Next year the Discovery Channel will air a series called Frozen Planet, created by the makers of Blue Planet and Planet Earth. However the USA will only see six of the seven episodes as Discovery Planet has opted to not show the finale which deals exclusively with the effects of climate change. 2) Australian Immigration Department - They have declined a visa to Chris Aultman, a former US Marine helicopter pilot, who finds the Japanese whaling fleet so Sea Shepherd protesters can stop the hunt. This hinders his ability to help the campaign for this summer. 3) Japan's Taiji Whale Museum, Dolphin Base and the dolphin hunters - On the weekend pod of 9 to 11 Risso’s Dolphins fairly where into a cove at Taiji, Japan by a group of hunters. Trainers from both the Taiji Whale Museum and Dolphin Base then arrived in the cove. Three dolphins were taken for a cruel life in captivity. We suspect the Whale Museum chose two dolphins that are currently held in the harbor pens. The trainers from Dolphin Base, accompanied by the owner of Dolphin Base, chose one young Risso’s Dolphin and immediately took it to their pens. The rest of the pod was brutally killed. 1) Hong Kong customs officers - who found and seized a batch of rhinoceros horns worth more than $2 million as well as elephant tusks and ivory bracelets worth $50,000. 2) Roger Gillespie, Executive Chairman of Baker's Delight - Australia's largest bakery chain has announced they will not use genetically modified wheat. 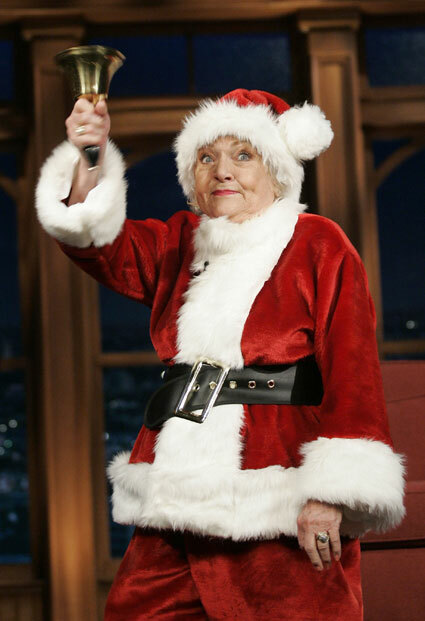 3) Betty White - this sweetheart could never get on Santa's bad side but her continued support of US zoos and campaigning to make them better plus her new book Betty & Friends: My Life at the Zoo has just been released. When asked what she prefers, animals or acting, she replied, "Animals. I stayed in show business to pay for my animal business." Sign the petition asking Clark Bunting, the president of Discovery Channel to show all seven episodes of Frozen Planet. To sign the petition, click here. When you take a second to look at the world we live in, the messages constantly thrown at us seem to be the way to happiness and success is through acquiring. "He with the most toys wins" so to speak. If you can just get enough money to get those few things that will cheer you up. Think of the well used term "retail therapy". When I used to live in Toronto, I remember the busiest place on a public holiday as the sun was shining outside would be the city's largest shopping centre, the Eaton Centre. There would be crowds of people, like little ants, scurrying from shop to shop, collecting bag after bag of "goodies" with the profits of a week's hard work. The strange thing is, the next day on the train to work, these same worker ants didn't look happier. Perhaps they just needed a few more weeks' pay, to buy a few more things, and then they'd look happy....I'm still waiting to see those happy worker ants. Take a look at the people you know and their socio-economic position. I am blessed to have a range of friends from staving artists to those with high paying roles for luxury companies. What stands out is that the more you earn doesn't equate to less stress and more happiness. Rather those earning more just have different stresses. Yes, my poorer friends are stressed about making ends meet, but my friends with a bigger pay packet are getting bosses calling them at 930pm at night, have higher expenses to maintain their larger car, house and set of gadgets and seem to have less time to spend with those they care about. More income seems to lead to more balancing of responsibilities. So are the richer happier at all? It seems more of a case of the happiest people don't have the best of everything, they make the best of everything. Think about what makes you happy, truly happy, and often the answers are simple things; spending times with loved ones, being in nature, music. 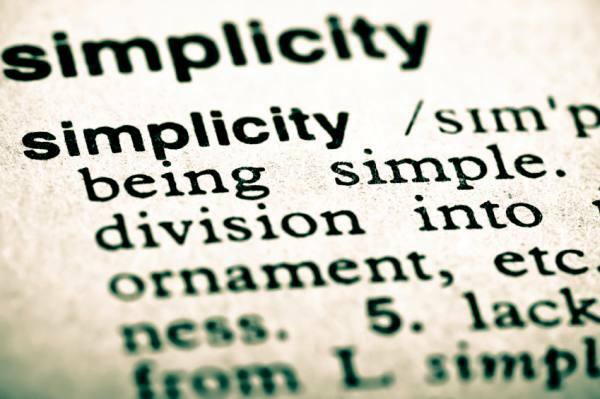 The ability to simplify our lives could have the ability to make us happier. A simpler life also often means a smaller carbon footprint too! Check out this talk by Graham Hill on less stuff equals more happiness. 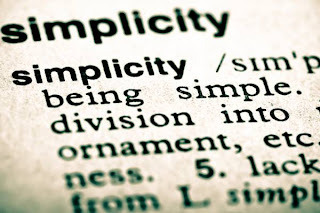 Here are some gathered thoughts they may help you simplify your life. When you go food shopping do you buy more than you need? I have seen fridges where friends purchased mushrooms a month ago and they are still sitting in the fridge. If you plan what you are going to eat for the week you save on food wastage, money, time to clean out the fridge and this isn't just good for you, it's good for the environment. When contemplating a purchase, a friend and I challenge each other, "Do you want it or need it?" If I was to contact you in a year would you be glad you purchased this item? Planning a party? Often simple ideas are the best. The more you include, the more you have to worry about. You don't want to spend the whole party ensuring everything runs smoothly. Unclutter your house. Feng shui 101 says an uncluttered house prevents the flow of positive energy and can increase feelings of stress and being overwhelmed. If doing the whole house seems like a mammoth task, do one room per weekend. If you can send excess to recyclers or charities you get double points! Have a place for everything...and put it there.This saves you from your space being cluttered with piles everywhere. If it doesn't have a place, create one for it or get rid of it. One concept that I'll keep from my days at McDonald's employee is "Clean-as -you-go". Not only does it keep your house clean and uncluttered, it frees up time later to have to tidy later. You may still have to spend an time sweeping the kitchen and cleaning the bathroom but it'll be a lot less time than if you have to put everything away first. Add another decluttering weekend to your computer. Consumerism is at it's peak at this festive time of year. It seems to be a traditional tune amongst the Christmas carols as people moan, "Christmas is not what it used to be.It's all about gifts, purchases and debt". This is a key time to contemplate decluttering and making this Christmas a little more simple. Ask yourself for Christmas, "what do I need, rather than what do I want". I asked myself this question and the answer I came up with, "there's nothing I need for Christmas". This causes a problem as family will start asking for suggestions and you start racking your brain to give them a list. 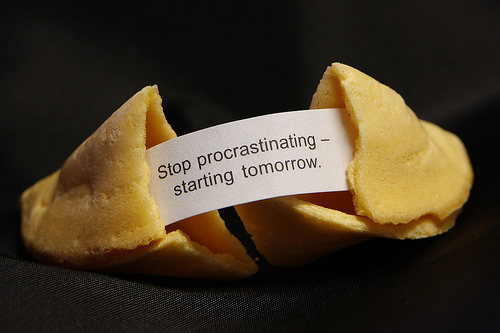 Otherwise you could end up with a pile of things you neither want, nor need. So I came up with a list. I want a polar bear, a tiger, a panda, a bilby, an orangutan and a gorilla. Well actually I don't the real animals, rather to adopt them (life gets a little more complex when you have a zoo in your backyard I am sure!). There are many organisations that offer symbolic adoptions that will benefit animals around the world. Adopting an animal for Christmas still gives family and friends an opportunity to give at Christmas, it helps you keep your life simple, it contributes to a great cause and is a strong message to others about what you stand for. So this year for Christmas, keep your list simple, and give to those who truly need.